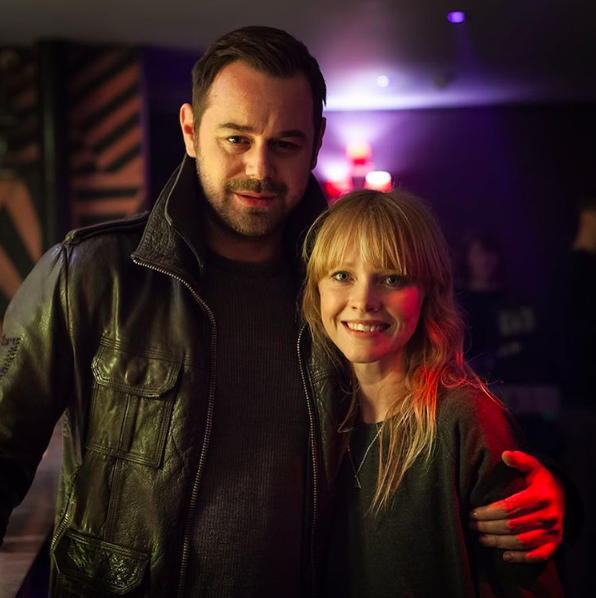 In perhaps the most unexpected cameo ever, Danny Dyer stars in singer/songwriter Lucy Rose’s music video for her new song Nebraska. And he stars as a drag queen. The seemingly out-of-the-blue partnership first came into play when Danny Dyer started following Rose on Twitter, The Independent reports. I had no idea it would lead to this. I only reached out to him after I saw him put out a few tweets talking about my music and encouraging people to listen to it, which blew my mind. Firstly I had no idea how he knew of my music and secondly I couldn’t believe that he loved it! So I built up the courage and sent him a private message asking if he would be interested in collaborating on a music video. And, obviously, he was interested. Thrilled, even. Dyer told The Independent he was honoured to be asked to be a part of Rose’s video, even calling her a ‘maestro’. And, as if the story wasn’t amazing enough, apparently everyone involved in the video’s production did it for free. I’m beyond proud of what we have made and it’s truly amazing that we got to make this video. Every single person who worked on this did it for free to try and make something beautiful that tells an important story. I’m so grateful to the awesome Danny Dyer for saying yes when I sent over this mental idea and for believing in me and this song. He’s a huge inspiration and an amazing person to work with. The video’s amazing, the song’s amazing and Danny – you look amazing.